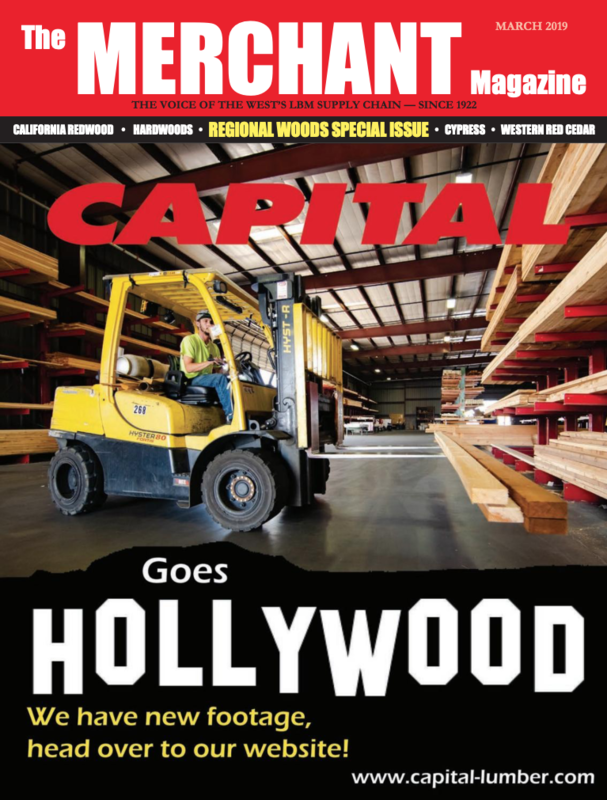 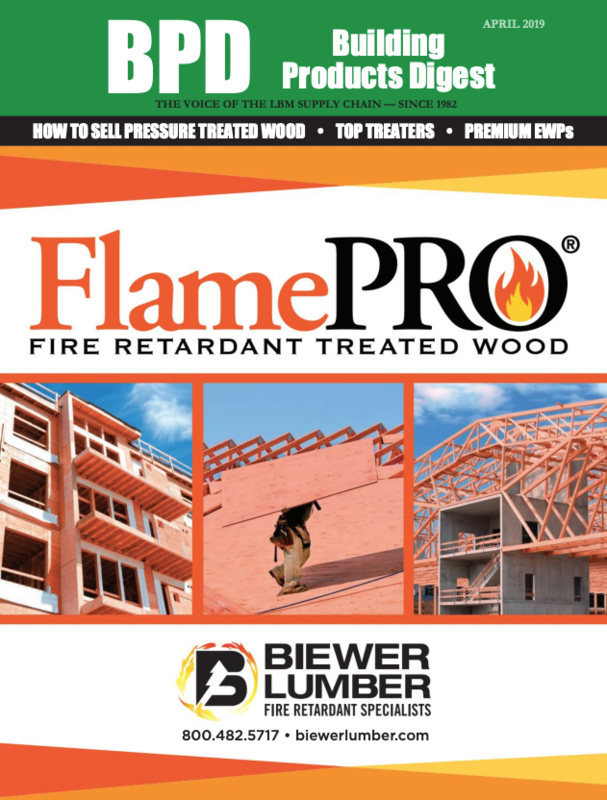 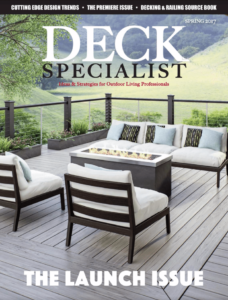 Builders and contractors specializing in decks and outdoor living projects have been enjoying this new industry resource for ideas and business strategies. 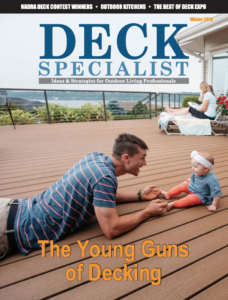 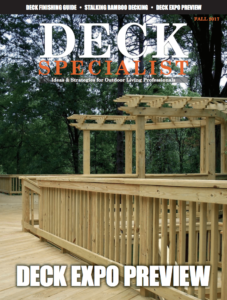 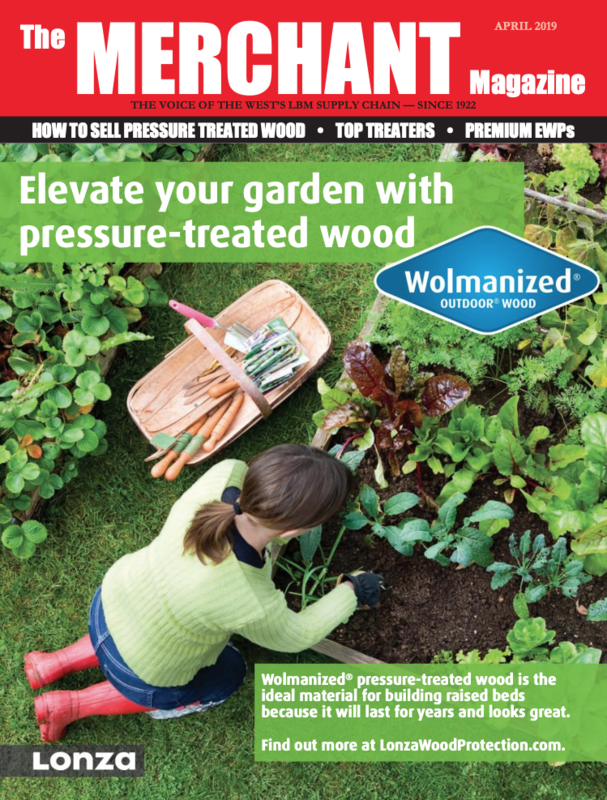 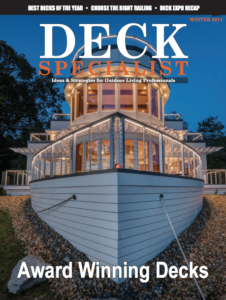 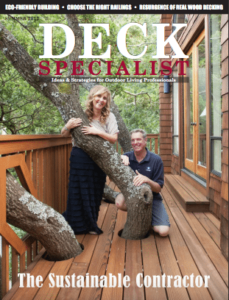 Deck Specialist is available in both print and digital editions. 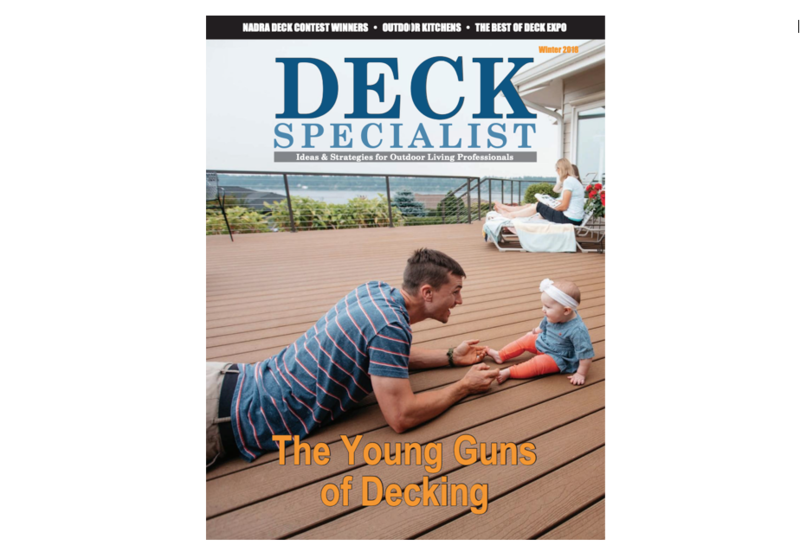 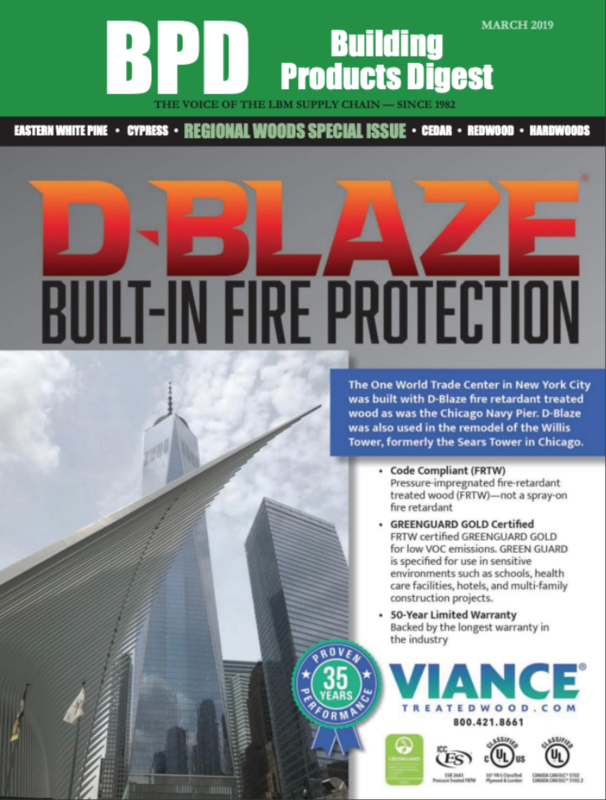 The current WINTER 2018 edition of the quarterly magazine features case studies of unique projects, marketing/sales advice, and an expansive look at the latest decking, railings, and accessories. 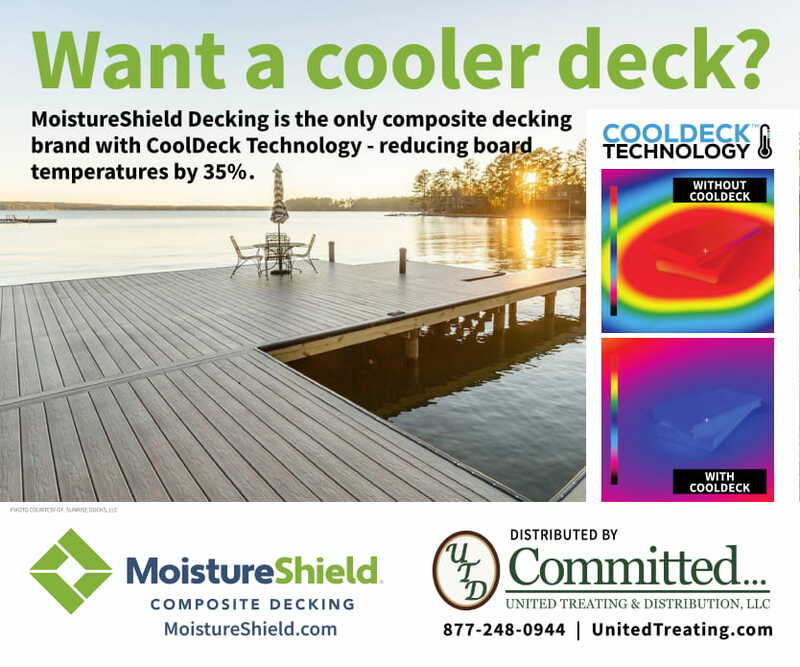 For information on advertising, contact Patrick Adams or Chuck Casey. 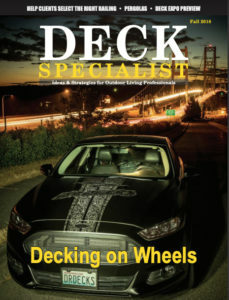 For editorial consideration, contact David Koenig.